David L. Ragsdale, M.A., L.P.C. David L. Ragsdale is the Vice President for Counseling and Team Training for QuietWaters Ministries. He is a Licensed Professional Counselor in the State of Colorado and for the last 30 years he has helped individuals, couples, and families strengthen their lives and relationships. Ragsdale received his MA in Counseling from Denver Seminary. His post-graduate work has included Marriage and Family Therapy certifications with the Menninger School of Psychiatry. He is a member in good standing with associations such as the American Association of Christian Counselors and the International Board of Christian Counselors. Ragsdale has advanced training in treating anxiety, depression and trauma with treatment modalities such as Eye Movement Desensitization Reprocessing (EMDR). He has extensive experience in treating sexual addiction, marital affair recovery and providing Marriage Intensives to men and women around the country. His life coaching services have been a catalyst for helping people discover their best in the workplace while balancing their careers with other life goals. For the last 20 years he has provided ministry coaching to Christian leaders across the country promoting marriage and family wellness, leadership excellence and organizational effectiveness. His consulting services and training foster sustainable change, culture shifts and redemptive outcomes for the organizations his clients serve. Brian is a licensed counselor working in the Denver Area with North Cherry Creek Counseling Center. He also serves with Global Service Network providing counseling services for those serving in ministry around the globe. He has extensive experience with individual and couples intensives. Brian graduated in 2008 from Denver Seminary with a master in community counseling and was licensed in the state of Colorado in 2011. In addition to his masters level study, he is also trained in the use of Eye Movement Desensitization and Reprocessing (EMDR) for treating trauma, Prepare and Enrich assessment for couples, Crisis Management and Interventions, AACC Intensive program on Sexual Addiction and several assessments for personal and leadership development (Birkman, TJTA, LPI and EQI). Brian Boecker has served with Cru International (Campus Crusade for Christ) for 27 years in a variety of capacities in 3 different countries. The bulk of those years were serving in East Asia. His most recent role has been in the area of leadership development, staff care and crisis management. He has helped start and run leadership intensives for the staff of several mission organizations from 7 different countries. He has volunteered or served on the staff of several counseling centers or ministries during his studies, licensing process, and ministry years, including Denver Rescue Mission, Denver Seminary, Providence House, Mission Hills and Crown Counseling. He is married to Crystal Boecker and they have two adopted teenage daughters, Bayley and Isabella. Mauricio Carbone received his Masters of Art in Clinical Mental Health Counseling from Denver Seminary in 2017. He comes with extensive experience in the counseling field which he obtained in Argentina. There he served as the Associate Pastor and Director of a Christian Residential Program for people suffering from various behavioral health issues. Alongside counseling, since moving to the United States, he has served as Senior Pastor in two monolingual Spanish speaking churches in Colorado. These were two very different communities which had great need. His counseling experience includes group interventions, family and couples therapy, alongside child play therapy. Mauricio has experience in psychodrama and can provide services from a more experiential approach. Mauricio is currently working as the Local Outreach Director at Mission Hills Church, with the objective of making God’s love known through different programs that reach those experiencing severe need in the community and its surroundings, with an emphasis on the Spanish-Speaking community. He states that it has been a privilege to serve in ministry for over 20 years. His ultimate desire is to use his skills and experience in both counseling and the pastoral field to positively impact those that come in search of help. Mauricio is married and has 3 wonderful children. In their spare time, they love to spend time together enjoying the beautiful outdoors, camping, boating, and traveling. Christine Denlinger is a licensed professional counselor and currently maintains a counseling practice in the Denver area. Prior to moving to Denver 14 years ago, Christine and her husband Jeff lived in the Philippines for 2 years and Venezuela for 12 years where they were church planting missionaries with an international mission agency. Growing up in Costa Rica as the daughter of missionaries, combined with her missionary experience as an adult, Christine has a heart for ministry and continues to be involved in missions through counseling, consulting and pastoral care for missionaries and pastors. Due to her cross-cultural experience in Latin America, she is also fluent in Spanish. In her current private practice, Christine works with individuals and couples struggling with a variety of issues such as depression, anxiety, trauma, abuse, infidelity and relational difficulties. Christine is passionate about facilitating growth in others and helping people find reconciliation in their relationships. She believes that all people can gain insight and learn skills that will help them live more joyfully and with greater resilience. Christine received her MA in Counseling from Denver Seminary in 2005 and her BA in Behavioral Science from Messiah College in 1984. She is a Licensed Professional Counselor in the state of Colorado and is trained in the use of Eye Movement Desensitization and Reprocessing (EMDR). She is a member of the American Counseling Association and the American Association of Christian Counselors. Christine has been married for 30 years and has 2 adult children and 2 grandchildren. Kim is a Licensed Professional Counselor who received her M.A. in Counseling Psychology from the University of Colorado, Denver in 1997. She maintains a counseling practice working with individuals and couples and runs support groups for Anxiety/Depression and Weight loss maintenance. Kim holds Certificates in Life Coach Training, Prepare and Enrich relationship Training and Eye Movement Desensitization and Reprocessing (EMDR). Kim’s experience and training allows her to help others navigate through life’s difficulties and stresses. She enjoys connecting with and empowering people to resolve issues, so that they can move toward desired change and healing in their lives and relationships. Kim and her husband have served in international missions throughout their lives and have a passion for people serving in ministry. Kim enjoys taking time away to rest and doing outdoor activities with her family. Gordon J. Kieft, M.Div., M.A., L.P.C. Gordon received a Master of Divinity from Calvin Theological Seminary and a Master’s Degree in Counseling Psychology from University of Northern Colorado. He has been practicing pastoral counseling and psychotherapy for over 40 years. He specializes in in-depth psychotherapy, both short and long term with abuse victims and more severe emotional distress. That includes depression, anxiety and other mood disorders. He completed a Residency in Marriage and Family Therapy and works with families, couples, adolescents and children. He provides educational and growth seminars in the areas of parent training, stress management and crisis intervention. He is certified in Healthy Congregations Leadership Training based on family systems dynamics as applied to organizations, churches and clergy leadership, and he is also certified in the use of Eye Movement Desensitization and Reprocessing (EMDR). He has consulted with congregations and clergy for many years. He enables clients and leaders to integrate spirituality with the therapy or leadership training process. Hud McWilliams M.A., Ed.S., Ed.D. Dr. Hud McWilliams received his M. A. and Ed. S degrees from the University of Northern Colorado and his Ed. D. in counseling from North Texas State University. McWilliams served for nine years as a professor of Psychology at Texas Wesleyan University and for six years was Academic Dean and professor at the Center for Advanced Biblical Studies in California and Dallas. McWilliams is currently the Senior Resource Pastor for Christian Associates, a church planting organization focused on Europe. He is a pastor to the pastors of 60 church plants/missional initiatives, providing resources, training, seminary counseling and teaching resources. In 1999, he moved to his present position from Fellowship Bible Church in Richardson, Texas, where he was on the pastoral staff for five years and the lead pastor for four. Prior to his time in Richardson, McWilliams was on the pastoral staff of Fellowship Bible Church in Dallas, Texas. Serving on the pastoral staff for 10 years, he was the founder and Director of the Counseling Ministry and a member of the Elder Board. He has been a licensed psychologist in Texas since 1975, and in Colorado since 2000. 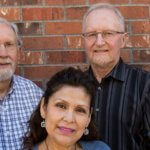 McWillimas has been in private practice for over 40 years. While in the Dallas area, he was a professional counseling resource for local evangelical pastors. Tom Varney, Th.M, D.Phil, L.P.C. Dr. Tom Varney received his Th.M. in Counseling from Grace Theological Seminary and his DPhil. in Religion and Society from Oxford Graduate School. He has over 25 years of experience in teaching graduate and undergraduate courses in both Counseling and Bible/Theology, and 15 years of pastoral experience. Tom served as Dean of the Graduate Counseling Program and Professor of Counseling at Colorado Christian University. Currently, he continues his ministry as a Licensed Professional Counselor (25 years) and as an Affiliate Professor at CCU. He is also Certified in Grief Recovery work. Tom’s rare combination of counseling, teaching, administrative, and pastoral experience has given him the ability to effectively address and process a broad range of personal and professional issues that impact spiritual life and ministry, which makes him a great fit for the quality spiritual direction QuietWaters seeks to provide. In this season of life, Tom enjoys spending time with family, especially his two grandchildren. He is married to Vickey (39 years) and has three sons. In his spare time, he also enjoys reading and taking long walks with his Australian Shepherd. Vioneth Villatoro-Ramirez has a Masters degree in Mental Health and Clinical Counseling from Denver Seminary and is a Licensed Professional Counselor in the state of Colorado. She is trained in the use of Eye Movement Desensitization and Reprocessing (EMDR). Vioneth also holds a Masters degree in Christian Ministry from the Central American Theological Seminary in Guatemala. In her current practice, Vioneth works with a variety of issues such as conflict resolution, depression, anxiety and problems in marriage relationships. Her passion as a psychotherapist is to help individuals and couples, particularly couples involved in Christian Ministry. Her objective is that the ministers of God experience in their marriage the restoration that comes from a loving and merciful God who always is willing to give a second chance to whom comes with a sincere heart looking for help. Vioneth has served for more than twenty years in Christian Ministry. Before moving to the United States in 2005, Vioneth and her husband Wilmer Ramirez served for twelve years as professors at the Central American Theological Seminary (SETECA) in the city of Guatemala, where both also received their master’s degrees in Bible, theology and Christian Ministry. From Guatemala, Vioneth taught God’s word to the Spanish-speaking world through the Radio Cultural TGN and through conferences, seminars and workshops, traveling throughout Guatemala, Central America, Panama, United States and Mexico. Also through the publications of materials to aid women and marriage and being counsel for the National Women’s Council of the IECA of Guatemala. Currently, Wilmer and Vioneth lead the Hispanic Initiatives of Denver Seminary where Vioneth is one of the professors of the IDEAL Institute and the founder and current Director of the OASIS women’s program, which provides a safe space for the development of the women involved in the Christian Ministry and is speaker at women and couples retreats. Vioneth is the Director of Prepare-Enrich trainings in Spanish and is the first person in the United States to train Prepare-Enrich facilitators through Denver Seminary’s Hispanic Initiatives. Vioneth and her husband Wilmer have been married for nearly 20 years and are parents of Wilmer Esteban and Krista Sofia who have been very supportive in their Ministry and are involved in Youth Ministry in their local Church Mission Hills Church in Littleton, Colorado where they currently reside.